This is perhaps one of my favorite instances of real life creepy that I have come across in a long time, simply because there's no true way to know exactly what was going on in the psyche of these girls and what drove their actions. June and Jennifer Gibbons were born in Wales in 1963. 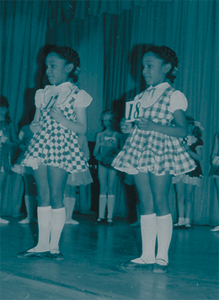 Being the only African-American students in school, the girls were bullied from a young age. After a while, they were so ostracized and traumatized, that they only communicated with each other, using a form of cryptophasia, a language developed by twins that only they can understand. 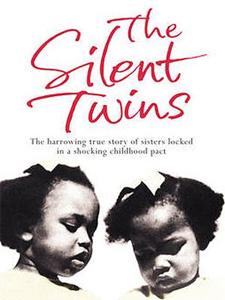 At the age of 14, the sisters were sent to separate schools in an attempt to "regulate their behavior" but this proved to be even more damaging, causing them to become completely catatonic and entirely withdrawn from others. As the girls got older, they turned their interests towards creative writing, filling tons of journals and attempting to sell their short stories to several magazines but proved unsuccessful. They did publish several books set in the United States through a self-publishing press, New Horizons, entitled Pepsi-Cola Addict and The Taxi-Driver's Son to name a few. In the '80s, in their late teens, the twins' behavior started to take a turn, attacking each other physically, drinking heavily, smoking marijuana, and committing a string of crimes including arson and petty theft, resulting in their admittance to a high-security mental health hospital. There, they lost all interest in creative writing and were placed on high doses of anti-psychotic medicine. The girls had a longstanding agreement that if one were to die, the other would go on to live a normal life and resume speaking again. They decided that while in the mental hospital, it was necessary for one of them to die. Jennifer was decided to be the sacrifice. In fact, she even told their only friend at the time, a journalist named Margie Wallace, simply "I'm going to die. We've decided." The girls were in the process of being transferred from one hospital to another when Jennifer fell unconscious. In the hospital, she died of an acute myocarditis, inflammation of the heart. After Jennifer's death, June gave interviews to several magazines and stated that she felt free at last and liberated. She now lives a normal life, no longer needs psychiatric services, and is accepted by her community. If you have time, I definitely recommend reading up more on this case, as there are far more twisted details than I include in this post. All said and done, this is both a tragic story and a story of freedom rolled into one, leaving everyone who reads about it with a feeling of intense fascination but also an unsettling sadness.